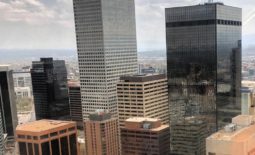 Denver, CO (November 28, 2018) –Community First Commercial Real Estate, LLC (CFCRE), the Tenant and Buyer Rep company that gives 10% of its commission to its clients favorite charity, is pleased to announce that it recently helped TAKRAF USA, Inc. renew its commitment on its US Headquarters lease located at 4643 S. Ulster St, Denver, CO.
TAKRAF USA, Inc. is an integrated solutions provider to the global mining, bulk material handling, minerals processing and beneficiation industries, offering innovative technological solutions as well as process and commodity knowledge along the industry value chains. TAKRAF USA, Inc. leased 13,000 SF at 4643 S. Ulster Street, where they continue to be one of the larger tenants in the building. Community First Commercial assisted TAKRAF on its renewal negotiations, resulting in a savings windfall to the tenant. David Shapiro with Transwestern the agent for the building said “We are pleased to retain TAKRAF USA, Inc. They have been a great tenant over the years, and they have been good to work with. I also enjoyed working with Community First Commercial again, they are always a pleasure to work with and are very professional with their approach,” said Shapiro. 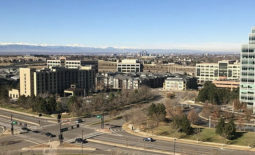 4643 S. Ulster Street is located in Denver, Colorado, near the convergence of I-25 and I-225, in the North Denver Tech Center. The Class A building provides easy access for employees located across the Front Range. Additionally, the building has upgraded amenities, and is walking distance from hotels, retail and dining amenities.